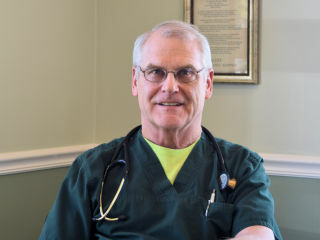 Dr. McKernan earned his Doctorate of Osteopathic Medicine from the University of New England. He was Board Certified by the American Osteopathic Board of Family Practice. 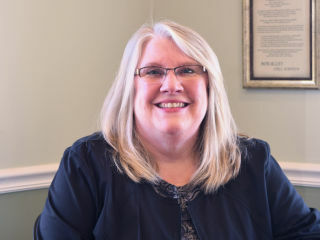 For 22 years, Dr. McKernan has provided complete medical care in a rural setting including all aspects of patient medical care and in 1988 began performing obstetrics. In 2010, he began his fellowship with the Pope Paul VI Institute under the direction of Dr. Thomas Hilgers, and is now board-eligible in NaProTechnology. As one of few NFP-only doctors in the state of Iowa, Dr. McKernan has a passion for women’s health and seeks to build a culture of life by not participating in abortion, sterilization, euthanasia, in-vitro fertilization or artificial contraception. He is committed to holistic healthcare disease prevention. Dr. McKernan and his wife Michelle are the proud parents of eight children. In his spare time he enjoys flying, reading, gardening, woodworking, studying his faith and most of all, spending time with his family. Michelle graduated from the University of Arizona with a BA in Elementary Education and a Masters in Special Education. After many years teaching children of all ages and developmental needs, Michelle began the Education Program with the Pope Paul VI Institute. She has been teaching the Creighton Model FertilityCare System since 2011 and enjoys empowering women and helping them learn about their bodies. In her spare time, Michelle enjoys reading, gardening, and most of all, spending time with her children and grandchildren. 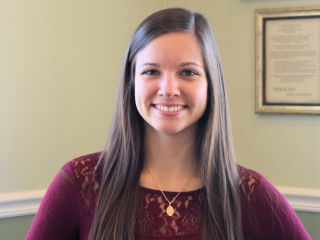 Kaatlyn graduated from St. Luke’s College with an Associate’s Degree in Nursing in 2011 and Boise State University with a Bachelor’s Degree in Nursing in 2013. 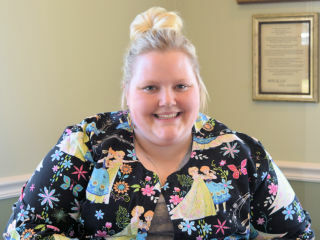 After graduating, Kaatlyn joined Vitae Family Care Clinic in April of 2013. Kaatlyn’s passion is working with children. She also provides respite care to special needs children through Childserve. In her spare time, Kaatlyn enjoys volunteering with local refugees, watching baseball (Go Cubbies!) and spending time with her family. Kim graduated from AIB in Des Moines with a Medical Secretarial/Management Major and has worked in the medical field her entire career, ranging from Medical/Administrative Secretary, Front Desk Receptionist, Billing and Insurance, and worked from home as a medical transcriptionist for 20 years prior to joining Vitae Family Care Clinic in January of 2013 as our patient accounts manager. You will also see her at the front desk and helping out in many other areas of the clinic. 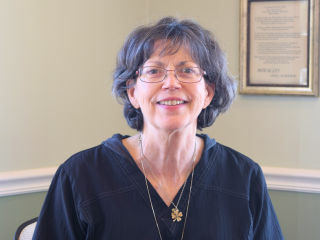 Kim enjoys reading, traveling with her husband Rich, gardening and loves spending time with her grandkids. Cassandra graduated from Drake University in 2015 with a B.S. in Health Sciences and a minor in Business. During her studies at Drake, she also began the practitioner program at the Pope Paul VI Institute and has been teaching the Creighton Model FertilityCare System since 2014. She loves enlightening women and believes every woman deserves to know exactly how their bodies function. Cassandra lives in West Des Moines with her wonderful husband, Jonathan and her son Isaiah. She enjoys singing, reading, knitting, and baking!